Baby beluga in the deep blue… river? On this CurrentCast. It sounds like a whale of a tale, but it’s not. 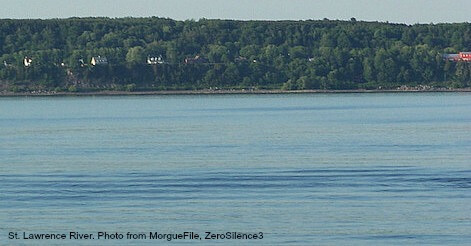 Thirteen species of cetaceans can be found in the St. Lawrence River. Robert Michaud of the Group for Research and Education on Marine Mammals says some, such as sperm and blue whales, live in the ocean and swim up into the river. Others, like belugas, stay there year-round. But this biodiversity may be at risk. Michaud says the river’s beluga population is declining – raising concerns about new contaminants in the river. So he says long-term tracking of the whales and water quality is needed to better understand the problem and identify solutions. Georgian Bay Forever is working with Dr. Kevin McCann of the University of Guelph, and the Canadian Centre for DNA Barcoding to catalogue all the aquatic organisms in Georgian Bay. This will help with measuring the impact of environmental stressors like climate change and human activity such as shoreline development as well as aiding in future conservation efforts, ecosystem monitoring, forensics, and tracking invasives. All the specimens collected and identified will also contribute to the International Barcode of Life, a multi-nation effort to catalogue the world's biodiversity. Learn more about the Georgian Bay project.